To measure really long distances. The Really Long Meter is a bold artifact that can be obtained in the miniquest "Determine the longest distance between point A and point B". A Really Long Meter is longer than a Long Meter and shorter than a Damn Long Meter. To be honest, there is not a lot to be added to this. 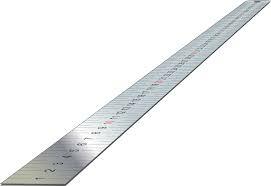 In mathematics, especially geometry, the Really Long Meter is used to measure straight bends. It is commonly known that a straight bend with a stretch of d=1rlm is very straight, whereas a straight bend with a stretch of d=2rlm is not so straight. Therefore, in mathematics a Really Long Meter is defined as the length of a straight bend, and as a straight bend is often seen as a line, the stretch of a line can be expressed as sline=1rlm. As we all know, by taking a bend instead of the direct line, we pass a longer way, thus s increases. s reaches its maximum when the bend is so bended it actually is a line. In that case we get sline=a lot rlm, so, with a bit of base maths, we get to the conclusion that 1rlm=sline=a lot rlm, therefore, 1rlm=a lot rlm. What does this mean for our life? As heroes tend to not to understand maths (and usually don't care, anyway), they invented another use: Rideable pets answer the oftentimes asked question "How long is it still?" with a reference to the Really Long Meter - if they had it at paw. The point of the Really Long Meter indeed being an artifact was often denied - people rather saw it as a metaphor. Nonetheless, heroes who still liked to sell them rejected this idea. The dispute ended quickly after it was established, which side had the sharper weapons. ↑ Actually it was their pets.